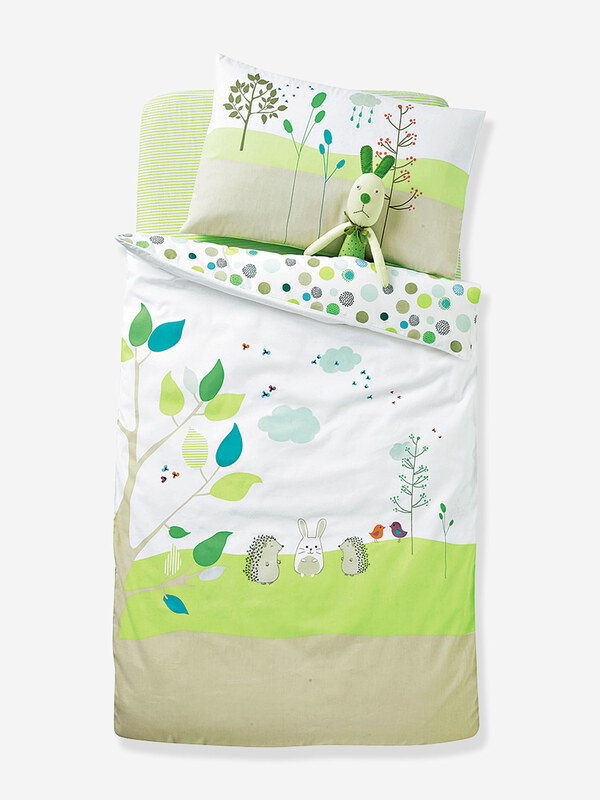 We love the natural countryside feel of this exceptional quality duvet cover with exclusive motifs. 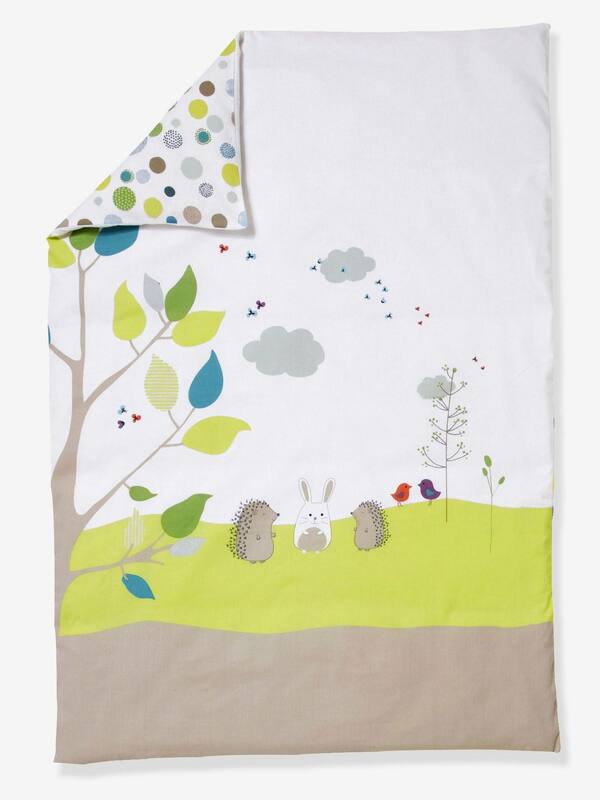 One side printed with trees, hedgehogs and rabbits on a white, green and beige background. One side with an all-over print. Team with the matching pillowcases and fitted sheets available separately. 100% densely woven cotton (57 threads/cm²).